My 'just one more' bear! This is Fratellini ... why is it, whenever I'm doing a show I always have to do a 'just one more' bear at the last minute?!!! Anyway, I'm pleased I did because this guy is very striking and should look lovely on my table at the Hugglets show tomorrow! 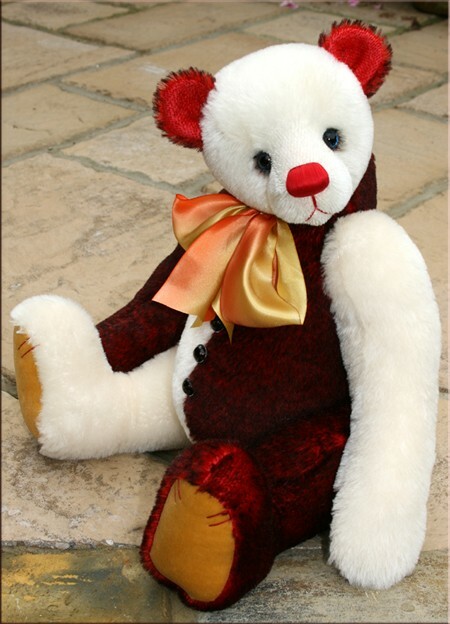 I do hope you like him and if you're coming to the show, please pop by to meet him in 'bearson'! Hope to see you there!